Robert Louis Danberg 60, of Dayton died June 10, 2008, Pace-Stancil Funeral Home, Dayton. Keith Alan Dees 45, of Houston died Thursday, March 7, 2002. He was born on October 19, 1956. He graduated from Westbury High School and attended the Univesity of Houston prior to joining the Houston Fire Department. Keith was a member of the Houston Fire Department class 78-A March 28, 1978, prior to joining the Houston Police Department. Officer Dees was a member of Police Academy Class #107, and was sworn in as a police officer on December 11, 1982. In 1987 he joined the motorcycle detail and died doing what he loved to do the most. He enjoyed escorting dignitaries around the city and sitting around the office making all the fellow officers in his detail laugh. He loved his job and the people he saw each day. Keith was an avid Beatles fan and had just recently turned an entire room into his "Beatle Room" exhibiting 20 years of collection. His biggest joy in life though was his children. He never missed an event in his children's lives if it was in his power to be there. He is survived by his sons Derek 12, Trenton 8, and his baby girl Grace, 21 months. Keith was a Christian and was a member of Second Baptist Church. He was able to witness the baptism of Derek and Trenton. He listened to KSBJ Christian radio station on his motorcycle while driving down the road and often wondered if people heard him singing about the Lord. One of his dreams was to go to Israel, which we did in June 1999. In addition to his children he is survived by his wife Deborah, his mother Bettye Virginia Dees, sisters, Marianne Cole and Leslie Hakkola and his brother Kevin Dees, their spouses and children. He is also survived by his mother and father-in-law Woody and Virginia Enloe, and many aunts, uncles, cousins, nieces and nephews. He was preceded in death by his father Ruby Harlon Dees and his grandfather Ruben C. Dees. For you my husband may you rest in peace and know everyone loves you very much and we will see you again soon. Police Officer's Prayer Strengthen me today, dear Lord, and help me keep in mind the laws that you created for the world that you designed. May I stand for justice so one day crime may cease, and let me serve all people so they may live in peace. Friends are invited to visitation with the family from 6 until 8 o'clock in the evening Monday, March 11, 2002 in the chapel of Geo. H. Lewis & Sons, 1010 Bering Drive. Funeral services will be conducted at 11 o'clock in the morning Tuesday, March 12, 2002 at Second Baptist Church, 6400 Woodway with Rev. Steve Seelig officiating. The family requests that memorial be made to KSBJ Ministries 89.3 KSBJ, P.O. Box 187, Humble, Texas 77347. Roy Wayne Dees, 62 peacefully passed away on August 21, 2008 in Pearland, Texas. He was born June 22, 1946 in Houston, Texas to Lee Roy Dees, Sr. and Daisy Dees. A devoted and loving husband, father, grandfather, son and brother, Wayne is survived by his wife, Debra Dees; son, Michael W. Dees and wife Jamie; daughters, Kimberly Englehardt and husband Stuart, Jessica Clark and husband Len; grandchildren, Laurel and Holly Englehardt, Gavin and Madaleine Clark; mother, Daisy Dees; brothers, Bobby Dees and wife Marie, Richard Dees, J. R. Dees and wife Amber. Wayne proudly served in the Navy during the Vietnam War. After his discharge, he joined the Houston Fire Department and honorably served the city he loved. After these accomplishments he became a Registered Oncology Nurse who was devoted to the care of his patients. The family will receive friends Friday, August 22nd from 6-9 PM at SouthPark Funeral Home in Pearland, Texas. A Celebration of Life will be held Saturday, August 23rd in the Chapel of SouthPark Funeral Home. In lieu of flowers donation are made to Cancer Center at St. Luke's, 2457 South Braeswood, Houston, Texas 77030. Please visit www.southparkfunerals.com to sign the guest book. Lee Ditta passed away peacefully on January 1, 2007 at 81 years of age. Lee was born July 15, 1925 to Frank and Salvatrice Ditta. He was the last surviving child of thirteen. Lee served in the Houston Fire Department for 35 years and retired as a Senior Captain. He was preceded in death by his wife, Mary Rosella Ditta. Lee's true joys in life came from his Grandchildren. As he always told anyone who would listen, "they are my Heart and Soul" and each and every one of them cherished their Paw Paw. Survivors include his children, Theresa Lynn Whatley and husband Larence, Lee Ditta, Jr., Frank Carl Ditta and wife Kelly and Lisbeth Ann Dunn and husband Keith; Granddaughters, Peggy Michelle Brignac and Katherine Mary Whatley. Grandsons, Larence Mack Whatley, III, Garrett Ditta Whatley, Michael Lee Ditta, Brian Taylor Ditta, Keith Woodbury Ditta, Matthew Isaac Brignac and Michael Joseph Brignac. Numerous special nieces and nephews. Friends are cordially invited to attend the visitation, Thursday, January 4, 2007, from 6:00 P.M. to 9:00 P.M. at Forest Park Lawndale Funeral Home. Funeral Services will be held at 11:00 A.M., Friday, January 5, in the Main Chapel of Forest Park Lawndale. Father Charles Samperi, Celebrant. Grandsons serving as pallbearers, Larence Whatley, III, Michael Brignac, Garrett Whatley, Michael Ditta, Brian Taylor Ditta and Keith Ditta. Interment will follow at Forest Park Lawndale Cemetery. Henry Donnelly, who fought fires in Houston from 1887 until his retirement in 1945 at the age of 78 will be buried Sunday in a brand new fireman's uniform.The "Grand old man of the fire department" died Friday in his home at 809 Welch. Mr. Donnelly, who rose to captain in the fire department decided to make fire-fighting his career even before the department used horses for hauling its equipment. That was 61 years ago. His strength and endurance were amazing. One of his daughters, Mrs. G. Latimer said he had an operation just last August. The doctor remarked that for his age the fire-fighter had the strongest heart and constitution of any person he had ever examined. "Everyone loved that old man", Deputy Chief T. F. Powers, who has known Mr. Donnelly 33 years, said. "They loved him not only because he was a devoted fireman but because he was a grand man. And Active? Why, that old man was going strong right up until his retirement," he said. 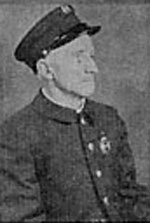 One other living fireman, R. F. Ollre, has served as long as Mr. Donnelly did. Because he hated to be left alone and always loved being kidded and spoken to by the younger firemen, Donnelly was the grand old man of the fire department in every sense of the word," Fire Chief Roy Whittlesey said. Chief Whittlesey is seeing to it that Mr. Donnelly gets the new uniform he asked for shortly before his death. Mr. Donnelly's only serious injury during his 57 years of fighting fires occurred during the North Main tunnel fire about 30 years ago. He stepped on a live wire while battling the blaze and the shock damaged his left eye. It was removed several years later. Funeral services for the native Houstonian will be held at 4 p.m. Sunday in the Hyde Park funeral home. Rev. R. F. Halbert will officiate. He is survived by his widow, Mrs. Jeanette Donnelly; two sons, E. H. Donnelly and Marvin Lee Ellis, both of Houston; four daughters, Mrs. Stanley S. Newberg of Boston, Mass., Mrs. John Petrosky, Mrs. Tony Dietz and Mrs. Georgia Latimer, all of Houston, 23 grandchildren and six great-grandchildren. Six fire department chiefs will be active pallbearers. Thomas Ivan Downey Born on July 17, 1934 to the late William E. and Martha Pauline Downey, Tom was called home on December 31, 2003. He is survived by his wife Florence Garcia Downey of 49 years and his three surviving children; David Downey, Donna Vasquez and Karen Downey. He is also survived by seven grandchildren; Luke and Brian Downey, Heather and Nicole Vasquez, Chris, Chuck, and Clint Gregory, as well as three great grandchildren; Adrian, Alex and Isaac Vasquez. He dedicated 25 years of his life as a firefighter for the City of Houston. He was a devoted husband and father as well as a wonderful and sincere grandfather and great grandfather. It is in his strength and wisdom we also find strength within ourselves in this time of mourning. We continue to place our faith and hearts with the Lord knowing He places us here but only for a short time and will soon call us home. May our loss not shadow all the laughter, guidance, wisdom and dedication to our family that he left us with. Our hearts remain filled with his memory forever. Visitation will be held at Forest Park East Funeral Home on Sunday evening from 5pm - 8pm with a rosary to be held at 7pm. A funeral mass will be celebrated on Monday morning at 10am at Our Lady of Guadalupe Catholic Church with entombment to follow at Forest Park East Cemetery. Luke Joseph Dragna, 84, was born on December 3, 1919 and died June 12, 2004. Luke was a Second World War Veteran. He worked 37 years as a firefighter for the Houston Fire Department. He was a member of the Sacred Heart Society. Luke was also a member of St. Ambrose Catholic Church. He leaves behind his beloved wife of 59 years, Katherine Falco Dragna; two sons and daughters-in-law, Blasé J. Dragna and wife, Mary, Charles Dragna and wife, Annette; six grandchildren, Michael Dragna and wife Cheryl, Chris Dragna, Lisa Dragna Jessup and husband, Zack, and Vickie Dragna; four great-grandchildren, Katie Dragna, Kara Dragna, Haley Marie Jessup, Rebecca Jessup, and preceded in death by baby Andrew Jessup; two sisters, Vancie Corte of Shiner, TX and Laura De Leo from Bryan, TX; one brother and sister-in-law, Charles Dragna and wife, Dorothy from Willis, TX. Visitation will be held Monday, June 14, 2004, from 5:00 p.m. - 8:00 p.m. with a Rosary being recited at 7:00 p.m. by Father Benjamin Smaistrla. The Sacred Heart Society will also recite a Rosary at 7:30p.m. at Earthman North Chapel 5100 North Freeway. Funeral Mass will be held at 1:00 p.m. on Tuesday, June 15, 2004, at St. Ambrose Catholic Church, 4213 Mangum Rd., Houston, TX 77092 with Father Benjamin Smaistrla officiating. Interment will follow in Forest Park Lawndale Cemetery (Garden of Gethsemane), Houston, Texas. Pallbearers will be Michael Dragna, Humphrey Hughes, Lee Falco, Bladge De Leo, Zack Jessup, Charles Scarmardi. Honorary Pallbearers will be Phillip Tilotta, Anthony Corte, Louis Emola, and Chris Dragna. District Chief Joseph Malcolm Drohan, 47, a veteran of 27 years with the Houston fire department, died of a heart attack Saturday afternoon in his home at 1524 Columbia. Saturday was Chief Drohan's day off and he was repairing a set of Venetian blinds in a wood working shop behind his home when stricken. Chief Drohan was a native of Houston and had been with the fire department since March 05, 1920. He had been district chief at station No. 2 at the foot of Capitol avenue since 1942. Surviving are his widow Mrs. Marie Drohan, two sons, William A. Drohan and Joseph M. Drohan; his mother, Mrs. Flora Drohan, and foster son, Paul C. Chajkoski, and two foster daughters, Aliba Chajkoski, and Jeanette Cegelski, all of Houston. The rosary will be recited at 8:30 p.m. Sunday in the family residence and at 10:30 a.m. All Saints Church. Rev. F. F. O'Sullivan will officiate. Burial will be in Holy Cross cemetery. The Earthman funeral home is in charge of arrangements. Funeral Mass for MAURICE J. DUFILHO, JR., 91, of Houston, TX, will be held at 10:00 A.M., Saturday, January 4, 2003 at St. Francis de Sales Catholic Church, 8200 Roos, Houston, TX. Most Reverend Bishop Vincent M. Rizzotto and Reverend Joseph Linanni, concelebrating. Interment will follow at Forest Park Lawndale in Houston, Tx. Visitation will be held beginning at 6:00 P.M. with a rosary being held at 7:30 P.M., Friday, January 3, 2003 at Davis-Greenlawn Funeral Home in Rosenberg. Maurice was born February 3, 1911 in Houston, Tx. to Maurice J. Dufilho, Sr. and Bertha Marie Richard Dufilho. He passed away January 1, 2003 in Houston, Tx. He was a member of St. Francis de Sales in Houston. 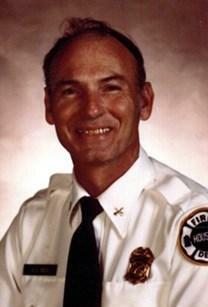 He was a native Houstonian and retired Captain with the Houston Fire Department. He is preceded in death by his parents and 5 sisters. He is survived by his wife of 64 years, Frances Luepke Dufilho of Houston, Tx. Children: Maurice J. Dufilho, III of Houston, Tx., Dennis L. Dufilho and wife, Mary, of Houston, Tx., Stephen M. Dufilho and wife, Adele, of San Antonio, Tx., Laurie F. Dufilho Bautista and husband, Bob, of Victoria, Tx. and Gilbert G. Dufilho of Houston, Tx. ; 13 Grandchildren; 8 Great Grandchildren; and other relatives. For those wishing, memorial contributions may be made to St. Francis de Sales Catholic Church in Houston, Tx. Funeral arrangements are under the direction of Davis-Greenlawn Funeral Home, 3900 B. F. Terry Blvd. (FM 2218 & Highway 59), Rosenberg, 281-341-8800. Joe Hector Delgadillo, 59, passed away on September 30, 2012 and joined those who preceded him in death, parents: Jesus & Edelia, previous wife, Linda. 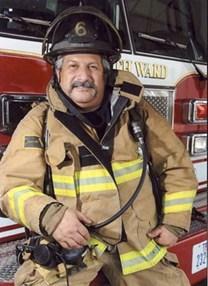 Joe was a retired member of the Houston Fire department, who served over 32 years. He was an avid hunter, motorcycle rider and was inducted into the Latin American softball Hall of Fame in 2012. He was affectionately known as "Grandpa Harley" and will be dearly missed by his wife, Maria; children: Joe, Jr., & wife Ophelia, Joe Anthony & Jacob Ryan; grandchildren: Mia, Chloe & Joe, III; sisters: Monina & America; brother, Jesus and their spouses; uncles, aunts; also numerous nieces, nephews, cousins and the entire HFD. Visitation will be from 4-9PM with a rosary recited at 7PM on Wednesday, October 3rd. Funeral service will be held at 11AM on Thursday, October 4th in the Grand Chapel at Brookside. The family wishes to thank everyone for their love & support. In lieu of flowers, memorial contributions can be made to the Last Alarm Club, 1907 Freeman St., Houston, TX 77009. When duty call's me, oh Lord, Wherever Flames may rage, Give me the strength to save some life Whatever Be its age. Enable me to be alert, and oh Lord, guide my every move, for life is so precious, please don't let us loose. And if according to thy will, That I must give my life, Then with thy protecting hand my Lord, I pray thee, protect my children and my wife. 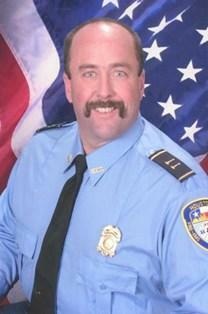 Thomas William Dillion, 49, of Bellville, Texas passed away in the line of duty on Wednesday March 14, 2012. He was born on Sunday March 25, 1962 in Houston, Texas to Thomas and Letha Dillion. He was a longtime veteran of the Houston Fire Department. Thomas is survived by his mother, Letha Dillion, sons, David and Matt Dillion; daughter Katelyn Dillion; sister, Brenda Machala and her husband Tommie; brother, Lee Gooch and his wife Sonya. The family will receive friends from 5:00 until 8:00 p.m. on Sunday March 18, 2012 in the Memorial Oaks Funeral Home Chapel 13001 Katy Freeway Houston, Texas 77079. Funeral services will be held at 10:00 a.m. on Monday March 19, 2012 in the Second Baptist Church West Campus 19449 Katy Freeway Houston, Texas 77094. Interment will follow in the Memorial Oaks Cemetery. Loyd Thomas Damrell 83 of Cleveland, TX died Monday August 13, 2012 at Fairy's Landing Residential Personal Care Center of Batson. A service of remembrance will be held Wednesday August 15, 2012 at 1:00 P.M. Faith & Family Funeral Services Chapel with Reverend Clayton E. Hazell officiating. Pallbearers are John Arrington, Kenneth Hamilton, James Buck Potter, Lee Jeffcoat, Dusty Wilkey, Shelton Shoemake. Interment will follow at the Damrell Family Cemetery in Clark community 7 miles north of Moss Hill on County Road 2115. Visitation will be held Tuesday August 14, 2012 at Faith & Family from 5:00P.M. until 9:00P.M. And again on Wednesday August 15, 2012 from 10:00A.M. until time of service. Born in Newton, to his parents Thomas and Maude Harvey Damrell Loyd had lived in Cleveland, since 1984 coming from Houston, where he had lived most of his life. He was a Fireman with the City of Houston for 23 years and was also a self employed Water Well Driller for 15 years and was also a U.S. Army Paratrooper and a member of the Rebecca Baptist Church of Moss Hill. He was preceded in death by his parents Thomas Damrell and Maude Harvey Damrell. An aunt Florence Fowler. Brothers Williard Damrell, Fern Damrell and Winfred Damrell. Sister Rachel Midkiff, nephew W.A. Damrell Jr, Niece Brenda Springer, Kacy Hamilton. Great-grandson Christian Malachi Campbell. Survivors are wife Audrey Damrell of Cleveland, daughter Connie Potter and husband Bobby of Cleveland, sister Helen Krupar of Newton. Grandchildren Lisa Shoemake, Julie Wilkey. Great-grandchildren Shelton Shoemake, Wyatt Shoemake, Walker Shoemake, Micah Campbell, Makala Campbell, Gretchen Wilkey, Matthew Wilkey. The family would like to give their great appreciation to Linda Anderson and Holli and their great staff and special friends for the excellent care. Fairy's Landing you will be forever in our hearts and now a part of our family. Thank you! Jackie Luther Dees, age 76, went to be with his Lord and Savior on Saturday, January 26, 2013 surrounded by his loving family after an extended and courageous battle with Alzheimer's disease. Jackie was the youngest son of Thomas Clifford Dees and Lida Mae (Brock) Dees, and one of eleven children. Jackie was born on his family farm in Knox County, Texas on February 4, 1936 and moved to Houston when he was 6 years old. There he attended Franklin Elementary, Edison Jr. High, and Milby High Schools. Jackie proudly served with the Houston Fire Department for 29 years from 1955-1984 rising in the ranks and retiring as District Chief at the Houston Firefighter's Training Academy and as HFD's first Airport Coordinator. "Granddaddy", as he was affectionately known, loved washer-pitching, playing "42", traveling with friends & family, camping, singing, woodworking, flying kites, "fixin" things, family reunions, homemade ice cream, the Houston Oilers, Astros, Rockets & Cougars, and most of all . . . spending time with his precious grandchildren. Dad also loved his church. As a young man, he and his bride were founding members of the Cordell Rd. Church of Christ in Houston. For almost 30 years, they raised their family while attending Main St. Church of Christ in South Houston. His retirement years were spent attending the Westside Church of Christ in Pearland until Dad was no longer able to be present at services. Jackie was preceded in death by his father and mother Thomas Clifford and Lida Mae (Brock) Dees; infant daughter Lida Faye Dees; brother and sister-in-law J. C. and Louise Dees, sister Naoma Evans, brother Lee Roy Dees, sister and brother-in-law Peggy and Ivan Thurman, brother Thomas Dees, brother and sister-in-law Lindy and Berthelle Dees, brother and sister-in-law Charles and Nell Sue Dees, sister Lou Mae Hallum, and brother Danny Dees; nephews Wayne Dees, Ray Thurman, Chuck Dees, and Jerrell Thurman; and niece Wanda Dees. He is survived by his loving wife of 57 years, Josie Lavinia Dees; son and daughter-in-law David and Sheila Dees of Pearland, Texas, daughter and son-in-law Carol and Danny Bowers of Houston, daughter Jacqueline Dees Cowan of Houston, and daughter Elizabeth Ann Dees of Houston; Five adoring grandchildren: Jake Cowan, Christie Cowan, James Dees, Laura Dees and Samantha Bowers; sister and brother-in-law Sue and Geist Seymour of Greenville, Mississippi; sister-in-law Daisy Dees of Pearland, Texas; sister-in-law Van Dees of Nacogdoches, Texas; brother-in-law Ben Hallum of Crosby, Texas; and sister-in-law Edith Dees of Houston; and numerous nieces, nephews, family and friends.